Hopefully, not to the part about the fruit! 🙂 I tried very hard to be a girly girl once with having a few purses (or handbags as we call them over here – purse is usually just for keeping money and cards in) but now I just have one over the shoulder type bag which is usually full of random glittery eyeliners and bright red lipstick, antacid tablets and tissues and Always Ultra. 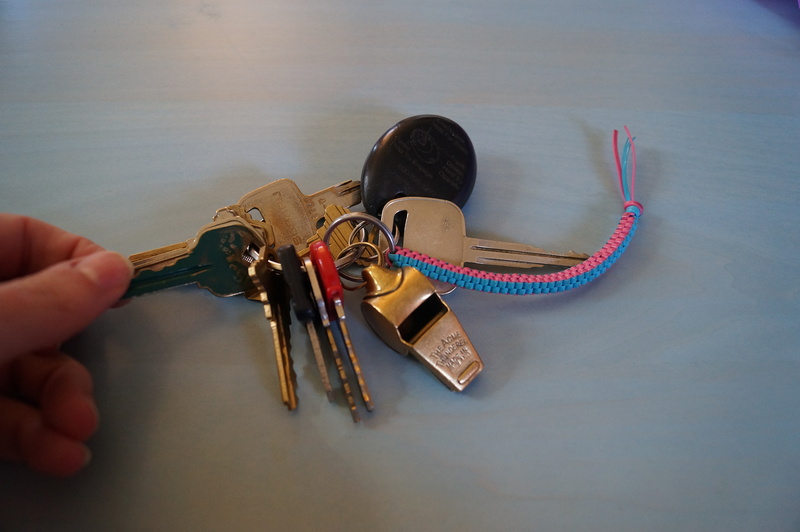 As for the keys, I have probably got more keyrings than actual keys. One Lego Ewok, One Lega Wonder Woman, a Lego Tag, a bottle opener, then two front door keys (one lock that we never use) and the garage key but I also have one broken key on there to remind me not to try too hard to turn the key if it is stuck. That’s quite the collection of key rings. I’m curious as to what a lego Ewok looks like. You should do a Google image search for the Lego Ewok! Hehe. Very cute. It looks like they have the whole Star Wars gang available in Lego form. Wow. That is one scary curse. My apologies to all those affected… I promise to remove all fruit from my purse in the future! I have to admit though that as a child I adored keys. My Dad used to have this little set of drawers in the garage and one of them had all these old keys in it. Like for old padlocks, old house keys, old garage door keys. I ended up collecting them all and putting them on one keyring. I even had a key to some hot wheels car. Oh, funny. Did you carry them around with you too? Yeah for a while, it was a very heavy bunch! I used to have a Little Miss Mischief Bag which I used to keep them in. The vibrant purse sounds intriguing, but then I’d probably have to buy at least 5 outfits to go with it. Then, after a month, I would probably go back to just carrying my black one again. HAHAHA this racked me up thank you for the wonderfully funny post. Hi Laura! I’m glad I could amuse you. The crazy part is I can’t think of when I would ever put two apples in my purse like that … it’s a mystery. oh my gosh…I live the same way! Both in blogging style-diversion-and procrastination. On the airplane the other day, I was digging in the pocket of the seat in front of me. Not sure why, just was. 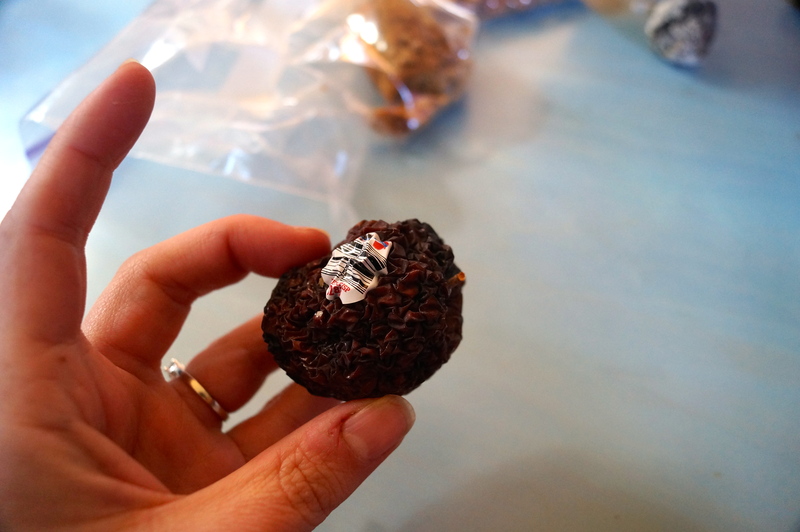 I found an old tea biscuit–I offered it to my husband, he declined. Thank you for making me laugh today! It’s funny how the mind works sometimes. I try not to look in those seat back pockets. I’m terrified of what I might find. 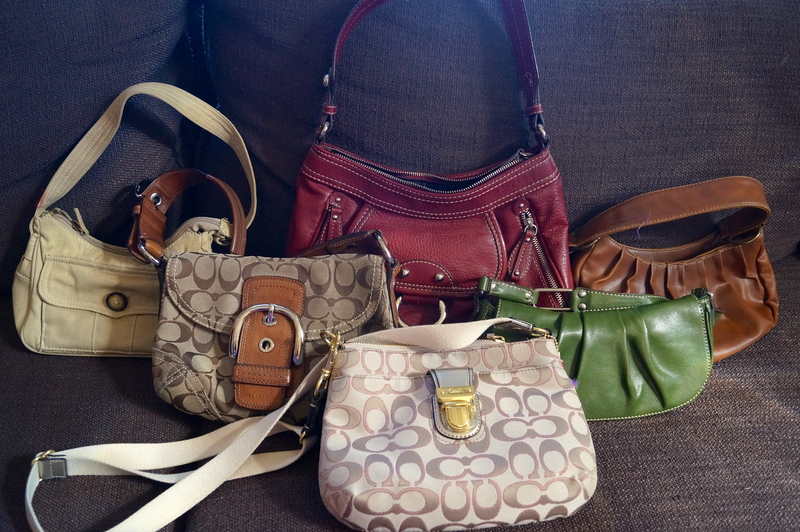 Cute purses. I agree, the ‘mummified’ description was hilarious. 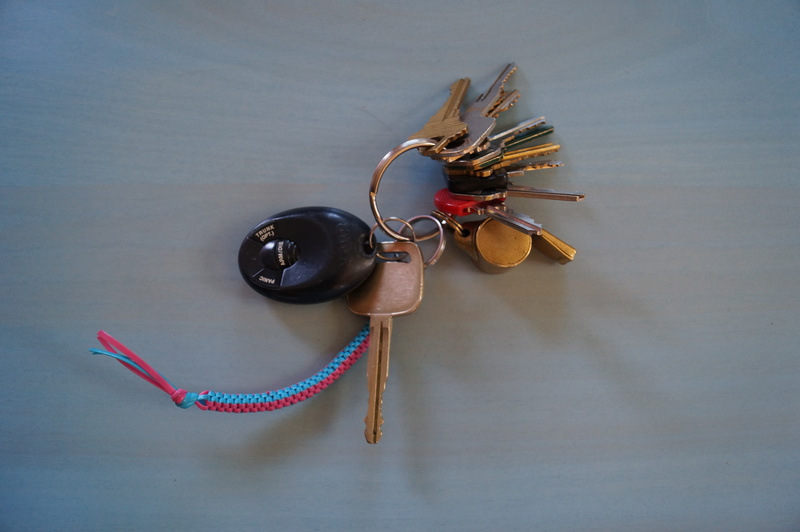 I think most of us are guilty of keeping keys we can no longer identify–but then you are afraid to throw them out, just in case. It’s true. My mystery ones I can’t get rid of. But I probably don’t need your old Subaru key anymore. Whatever about being disorganised, you certainly have a gift for making unusual connections…. I think you could double back and come up with something to go with the ‘two are for doors I should no longer be opening’…. a good line! I already gave the almonds to the squirrels. No one has called dibs on the apples, though. I’m definitely with you in regard to having tons of keys that I carry around all the time. I use maybe two or three of them at the most. Honestly, I look like a prison guard with the amount of keys I carry around! It’s weird. I know I’ll probably never use any of these keys again, but I can’t get myself to remove them. It is gross, but no there was no smell. Our house is really small so we store a lot of things in the basement, like extra coats and some of my purses. And I never smelled a thing. And when I finally found them, they didn’t smell at all. It was weird. We’re lucky we don’t have very many pests in Colorado. I think that is why I’m so lackadaisical sometimes. I know exactly what you mean about keeping hold of keys, I find anything like that really hard to throw away. You have certainly found a new way of preserving fruit! 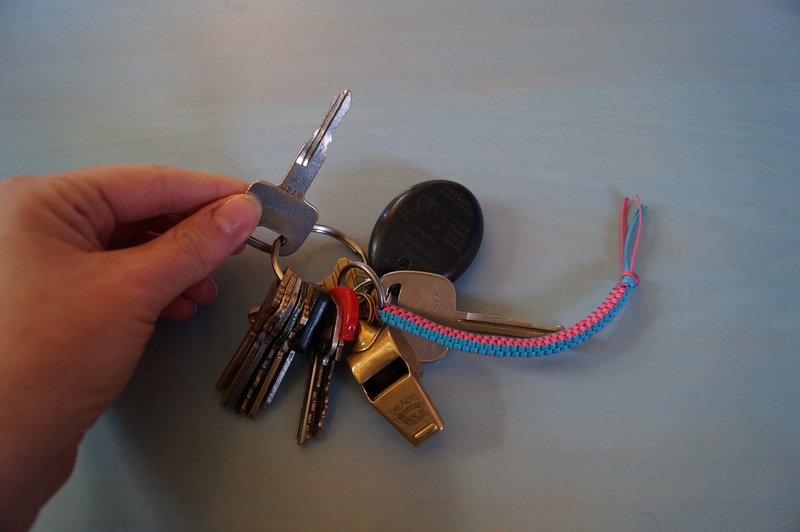 And why do all key rings have so many keys – which I’m always too cautious to take off? 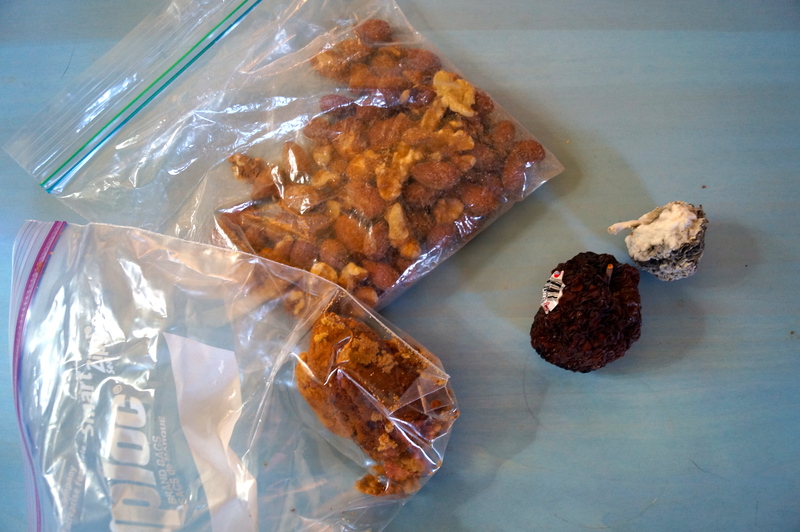 Apart from the odd grape that rolled behind the fridge, or a stray M&M which I found under the table (which strangely do not age at all), I haven’t discovered too many forgotten foodstuffs. A colleague found a bowl of cereal under a pile of contracts in the office once which we thought was six months old! M&Ms have that hard candy shell that make them impermeable to germs, so you can eat them off the floor, from in between couch cushions, really anywhere you find one. The cereal is pretty creepy. That’s what happens when you don’t take care of that clutter! The cereal was pretty creepy! Loud “eeeewwwwwws!” all around when it was discovered. I’m now off to find any stray M&Ms! Save me the red ones! Ha! 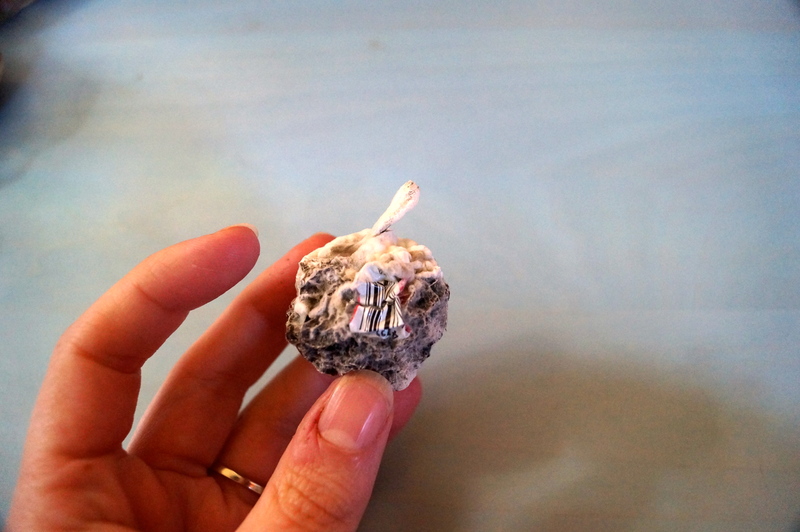 I once found a smashed up cereal bar and a ten-dollar bill in an old purse. It was like the bag felt bad and offered to buy me breakfast. How thoughtful! I love finding money I’ve forgotten about, even if it’s just $10 – it’s like I’ve experienced a huge financial windfall. I am always finding money in my purses, and it does seem like a windfall at the time! I tend to put my ‘vacation’ purses away when I return home from holiday… then when I pull them out for the next vacation, there’s generally money squirrelled away in one of the purse pockets. Hmm… maybe I should go look through one of those purses right now; I could use an extra $20 today! Yes, it is quite a treat to find forgotten money. I usually find money after vacations too, because it’s the only time I really carry cash. Good luck with your hunt – hope you found something good! Ha-Ha-Ha-ha-ha, you made me laugh and I’m sitting here at my desk at work and not even supposed to be reading this kind of thing. I love that you could still read the honey crisp sticker. Of course you wouldn’t notice the smell, apples don’t smell bad. Now if it had been a bannana . . .
Hope you and yer cuz have fun at your writing conference – from another post? Yeah. There really was no smell. I’m just glad it didn’t attract bugs or anything. Thanks. We’re excited and a little nervous! Of course, almonds and walnuts never go bad. right? 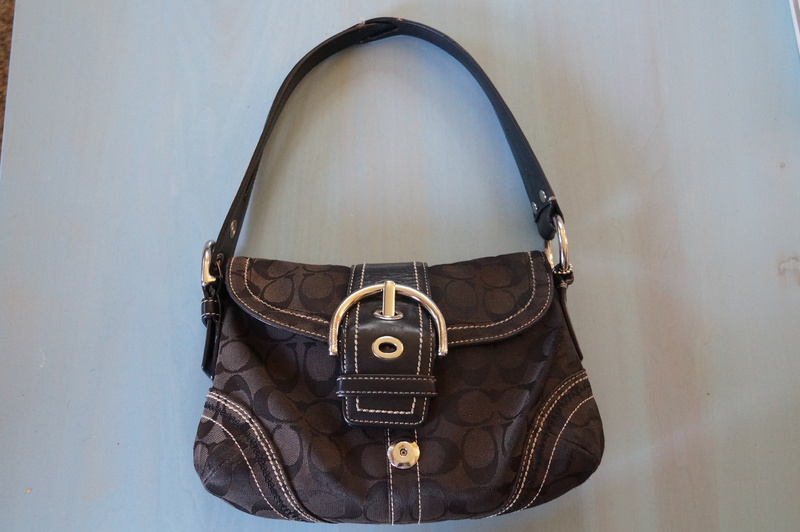 I gave up purses a long time ago, I just found that I carted around way more stuff than I needed to. Money, keys, lighter. that leaves a spare pocket in my jeans for the occasional “extra”. I think it has been so long that if I tried again I would load that puppy up with all my “important purse stuff” and leave it the first place I sat down. So now the joke is I have the most expensive purse ever. a 2005 Pontiac Bonneville. It’s so roomy to boot!